2014 is coming to an end. For me, it was not a fantastic year, neither was it a bad year. Nothing drastic happen and relatively stable throughout. Overall I am happy and it is definitely one of the better year compare to last two years. I am thankful that no major illness or recurrence of old illness. Amid my “sick chicken” health tag, this year is considered one of my healthiest years. With instilled discipline, I seldom skip meals and eat home cooked food most of the time (thanks to my mother in law). Multi-vitamins and fish oil intake is a daily must. Another must is exercising 2-3 times a week for 30-60min each time - gym, swim or jog. No intention to be a bodybuilder or a national athlete, just feels great after the “sweat it out” session. I quit smoking into my 2nd year after being polluted internally for >15 years. Clean air definitely oxygenate better than nicotine. However guilt is not eradicated completely, since I still smoke socially if needs arises. We welcome our new member this month. Joy offsets tiredness. We are also home-bound for this holiday seasons. Nonetheless family togetherness makes you feels fantastic. With the newborn, the house is getting more crowded, yet also livelier with 7 of us under one roof including my mother-in-law and helper. My mum and siblings’ family are also doing great in terms of health and wealth. My mum is enjoying blissful life with 8 grandchildren now. I come from a huge family tree of relatives. My father, who already passed away for more than 15 years, had 10 siblings. My eldest aunt and uncle are already in their 80s and with some already great grandparents. I frequent my aunt’s place with my family and mum. It is a gathering place where all my relatives bond every weekend. Most of my aunts and uncles come from humble background with no formal education. For what they lack, they make up with simplicity and sincerity, helping out each other in times of needs. True friends are hard to come and I am doing my part to cherish them more this year and in future. On the contrary, the selfish ones who only “take” and not “give” were filtered out of my equation gradually. Now, I have one group of best friends that always hang out during special occasions such as CNY, Christmas, birthdays etc. Separately on ad-hoc basis, I always initiate catch up with old friends or new found friends over coffee regularly. I try to set unimposing target to meet up with at least 3 people outside family once a week and so far, it’s still on track this year. Since started my blog this year, I also get to know many very knowledgeable characters in the blogspace. Despite the disparity in opinions from different people of different age group, blogging and reading blogs intrigues our mind and creates awareness. At the beginning of the year, I encountered rough patch in work when my boss who hired me left the company. I was pretty upset. While my new boss had excellent personal relationship with me, he does not do much to help in my work. Hence relationships among colleagues were not the most ideal with differences resulted from them lacking understanding in Asian business cultures. The turn of events came in last quarter this year, when we won several hard fought orders together as a team. The orders are vital as it not only eliminated the differences we use to have, but established mutual trusts among ourselves. My annual job income had more or less stable over the last 5 years with ~+/-5% variation, except for a lucrative bonus incentive in 2010. Realistically, I am more than happy to maintain rather than looking for a significant pay rise. Higher salaries while fascinating, means higher job expectation (can be unrealistic expectation). When the tide changes with looming economic situation, you will probably be first in the queue to “see the axe”. Job performance may be irrelevant then. I always wanted to be transparent in my portfolio initially. I changed my mind after reading Jim Rogers "A Gift to My Children" where he reckoned that it is better not to disclose our personal wealth openly to avoid any unnecessary “vinegar” misunderstandings. If you are interested in Jim Rogers, read here. I must quickly confess that my portfolio is mediocre to cause any extra “vinegar” compare to many other bloggers’ portfolio. Apparently it’s just a mild precaution on my part. Meanwhile, you can also refer to all my previous articles pertaining to my portfolio here. Without going into details, please find below my stocks portfolio. Note: I am using % of cost rather than market value for my portfolio since cost is fixed while market values fluctuates. Since I added stocks on a regular basis, it's not exactly accurate to say how much my portfolio had grown since the start of the year. As of today, using (unrealised profits + realised profits + dividends re-invested) / total cost invested, my portfolio achieved 11.5% growth in 2014. At any one time, I try to maintain 20% of portfolio in cash to take advantage of bearish situation. No intention to increase monthly mortgage payment since interest rate is still very low ~1%. No intention to sell current home, since we like the serene environment, and look forward to upcoming train station. Our rental property continues to generate regular streams of income to offset our current property mortgage. Tenant agreement expires 1Q15 and there can be worries of non-extension. Intend to set aside a sum of money for refurbishments to enhance rental potential after contract ends. Both my wife and I work. With my new-born, we have to feed 5 mouths not having income. My expenses are quite outrageous high frankly, and still considering if “factory” should stop production. Total expenses including household mortgage accounted for close to 50% of my total take-home income. Although majority of the expenses are on my shoulders now, but if I am jobless, my wife’s income should then share more of the burden. Moreover, some of my major expenses are in car, payments for my mother in law and helper. These expenses can be cut considerably if in needs. Once you have a big family, you tend to forget about pampering yourself. Material wants for myself are kept low in recent times. My safety margin timeframe to be jobless, is 1 year. In view that I have 6 months’ notice period in my employment contract, I keeps at least 6 months of expenses in cash. I started this blog, March this year. The purpose of the blog is mentioned here. Aside from the reasons mentioned, one other reason is to break my comfort zone and to learn more from other bloggers as well. It has been 10 months since. I am fully dedicated to blogging and spent hours after hours on each post. In total I had written 125 posts (excluding this post) and garnered 70k views. I must say that I am proud and passionate about blogging so far. Reading is always a good way to improve oneself. During my overseas trip, I make it a point to borrow books from library and read it on the plane and airport. I am subscribed to both Business Times newspapers and the Edge. I will read them each day to keep abreast of the financial market happenings. I also try to attend relevant financial courses and seminars organised. Read here for the list of books, courses and videos that impacted me positively. In the upcoming month, I am attending a Personal Finance Investment Seminar. Refer to link here. It’s already sold out though. No overseas holidays this year, due to my wife’s pregnancy. Instead, I had many tiring overseas work assignments. From a simple dinner and grocery shopping night to Sentosa excursion, spending quality family time together is our greatest leisure. Besides spending time with kids, I do spend time with my wife watching our favourite movies and TVB serials, and occasionally pampering ourselves with nice hawker or restaurant food. Balancing family with friends is of utmost importance too. Catching up with close friends over coffee and gossiping about current affairs is relaxing. Exercising makes me feels good as well. Last but not least, I am extremely thankful to all my readers and those who commented in my blog. 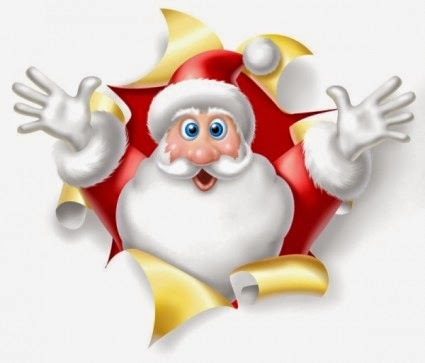 I WISH ALL OF YOU A MERRY CHRISTMAS IN 2014! "I quit smoking into my 2nd year after being polluted internally for >15 years"
Sense like you have the same history as me? Haha, its not my perseverance! I am not so impressive. Just that I had not much choice since I am a "sick chicken" being at verge of reporting to Hades at one point of my life. In your line, smoking and drinking hard to avoid. I remember applying with a Korean transport company once and they say I had to drink with clients... I withdrew my application. You are a good boy /monk! 借烟 NOT 戒烟. Still consider guilty..haha..I did it too. Koreans love and CAN drink. Lucky you withdrew your application! Otherwise you become “Singapore Man of Liquor” Chinese & Jap cannot drink but pretend they can drink, because cannot lose face. Then they get drunk and talk nonsense. Most Ang Moh can drink due to their physiques. Me, I hate drinking. That’s how you torture me! Remember I am a sick chicken. Specific to my line of product, I witness trend about drinking changed over the years. Even in China, "force-drinking' is gradually reducing especially for those born 80 and beyond. More like “drink at your wish” now. More non-smokers than smokers on a dinner table too. Most people misunderstood that I had to drink and entertain a lot. Not true lar! Like I said before, we engineered sales, we do not hard-sell. It’s different. Our product (more like system) is customized and hard-core engineered. An order can take as long as 2-3 years to close or longer/shorter depends. Delivery time is 1-2 years. Even after delivering, there will be plenty of aftersales service throughout the life span of the product. For a single sales period this long, you must be technically inclined, stay sincere and genuinely help the clients. There can be many issues/changes throughout the sales, project and aftersales stage. Still, on some occasions, no choice you just have to drunk-collapse to show your sincerity. Just this month, I toasted the >70% bai jiu several times. The trick is keep drinking plain water. I survived. Now it is. Use to be cheaper, $5-6 per pack of 20 when I started. In the 80s, I always kena arrowed by my dad to buy. It cost $2-3. A very eventful 2014 year indeed. Feeling stiff neck and shoulder?? I'm sure you are but you'll be smiling wider from teeth to teeth now that you have a big family. Factory still considering in production? I'm sure the govt will love you very much to produce even more to contribute to the future of the nation. Thanks. Sure yours was "sama sama" or better. I just kalang kabok on bb stuffs, so leave most of the job to the ladies! I focus on educating them on the mental aspects and on life! I have 3 girls now, so still hopeful for a boy! Haha... Govt love me, I love their bonus and tax rebates! My sister had 4, I looking to break her record to have 5 eventually if I can.. Smoking is bad for people who smoke. Glad I am sick young so to realize it earlier and stop. I have a friend used to work for British Amer Tabacco here. Not so good to promote smoking, but the company has very good benefits for employees. Maybe they should R&D another product to replace cigarettes but in a healthier manner and yet provide the same sensation. 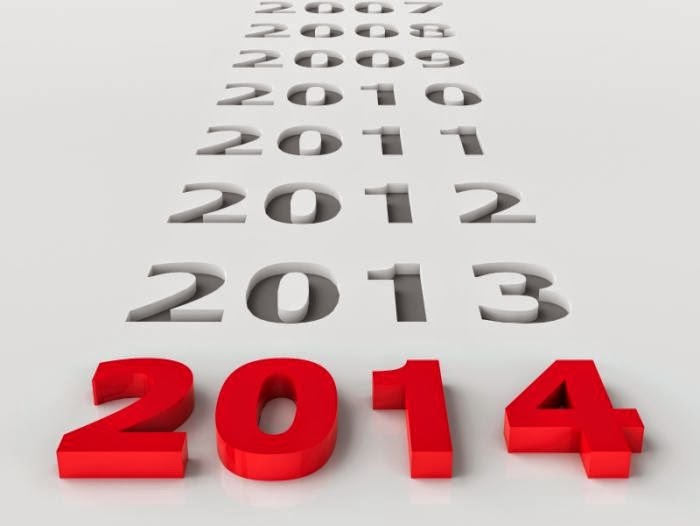 2014 seems to be a good year for you! I also started to blog this year but I don't think I have 10 posts! You have 3 kids while I only have 1! Feel so guilty. Look forward to many more insightful posts from you in 2015! Nice to see you. 1st of all Merry Xmas to u, and hope your 2014 is excellent? Anyway, I hope to see more posts from u in 2015 too. I m sure to visit ur blog regularly. My co is undergoing acquisition changes. I foresee a tougher yr ahead. Not sure if I still can maintain blogging regularly. Hope to see you around in 2015.